Oru New Generation Pani malayalam movie directed by debutante Sankar Narayan featuring Biyon Jemini and Deepthi in lead role has started rolling at Thiruvanathapuram. Produced by Sajeeb B under the banner S & S Creations, the movie is blessed with the presence of Devan, Thalaivasal Vijay, Anil Murali, Saju Kodiyan, Narayankutty, Jaffer Idukki, Shaan, Sajimon, Munshi Baiju, Marvin, Manju Raghav and Subbalakhsmi. The camera is being helmed by Rajiv Vijay. It seems that Biyon Jemini is on a singing spree. After completing the shooting schedules of 'Uthara Chemmen', young actor has joined the sets of Sankar Narayan's directorial debut 'Oru New Generation Pani'. Yesteryear actress Sumithra's daughter Deepthi will be paired opposite to Biyon in this investigative thriller. Deepthi who was a part of 'Monayi Angane Aanayi' plays Indraja in this movie which zooms into the problems created by internet and a murder which takes place later. Indraja is a brave and well educated girl, who is brought up by her mother. 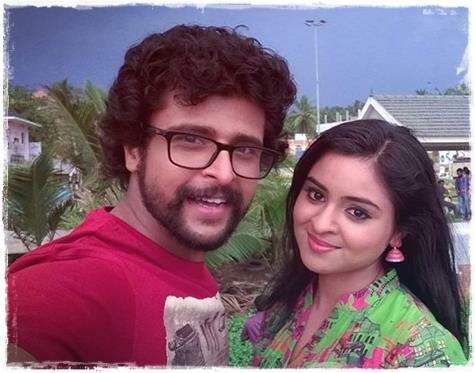 The shooting of the movie has already started and is progressing in the outskirts of Thiruvanathapuram. The movie pools into an interesting story which can be closely related to the present scenario. Living in the modern era, couple of problems created by internet leads to a murder. The investigation regarding the killing is being carried out with the help of the latest technologies. New found inquiry takes the story to the next level which gives leverage to the movie. 'Oru New Generation Pani' is produced by Sajeeb B under the banner S & S Creations. Devan, Thalaivasal Vijay, Anil Murali, Saju Kodiyan, Narayankutty, Jaffer Idukki, Shaan, Sajimon, Munshi Baiju, Marvin, Manju Raghav and Subbalakhsmim will give life to other prominent characters in the movie. For the lines of George Thomas, the tunes are being set by Karthik Prakash. The camera is being helmed by Rajiv Vijay. Deepthi, inspired by her mother Sumithra and sister Umashankari aims to create her own space in the film industry. Her mother Sumithra has acted in many languages, while her father D Rajendra Babu is a well-known director and sister Umashankari is a Kannada actress. Biyon has also signed yet another movie titled '1000' which revolves around a 1000 rupee note and the lives connected to it. Bharath and Maqbool Salmaan would share screen space with the actor.